My name is Andrei Iakovlev, I started to build and fly airmodels in age of 13. 2004 – I built my last free flight sailplane and used to work on ship models for museums and other models. 2007 – I joined a tech avionic lab working on unmanned aerial vehicles. The lab became a big company, a leader at this field in Russia. 2014 I left the company due ethical reason, i do not support a development of military equipment. At that time I actively built and flew hand launch gliders. 2008 – I started my competition career flying my models built with a positive technology. I did a great progress learning 3D cad systems, molding-technology and bought my first CNC mill machine. 2011 – My first WC in Sweden. I established my first lab to develop hand launch gliders and 500 class of F5D models. I met Oleg Golovidov and decided to make together new glider. First prototype was made and flown. 2013 – Two new prototypes were made: Validol Lift (designer could not be named due NDA) and a model with a high aspect wing (20 dm2) with Edge airfoil in cooperation with Oleg Golovidov. Both prototypes were flown on WC in Denmark with good success although never get produced in big numbers. in 2013 I met Benjamin Rodax and Jochen Reuter and was offered to develop/produce Flitzebogen model what was existed as a prototype and looked very promising. As result of our cooperation work, new improved Flitzebogen was born opening new Flitz era. This great model embodies best concepts and has been well accepted by many hobby and national team pilots. We want to thank all those pilots who help us to improve airframe and fly our models. A little bit later I developed F5J model Adventure – first 3 meter glider with CNC solid rohacell core what could be taken in the airplane as a cabin baggage. We want to revisit the concept and increase span of the plane as 3 meter is too small for this class. Keep follow us on this one. 2015 – We actively discussed with Benjamin and Jochen next steps of improving the Flitzebogen. Listening our customers and analyse our flying experience we did a lot of changes in the design and development process, as result new flitzebogen2 has been developed. Classic Flitzebogen got some facelift work as well. 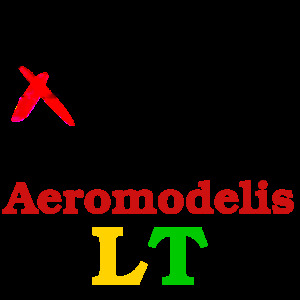 At that moment due a political situation in Russia, to be close to our customers and be able scale the business I with my partners, established new company UAB "Aeromodelis” in Lithuania. Flitzebogen2 or Flitz modern how I name it has been born, developed and produced by new company. We have a lot of ideas and looking forward to bring new models on the market soon, so stay tuned.